Blog Social Media References Twitter Down Today for me: Twitter is over capacity. Twitter, the popular micro-blogging service, went down on Thursday morning. 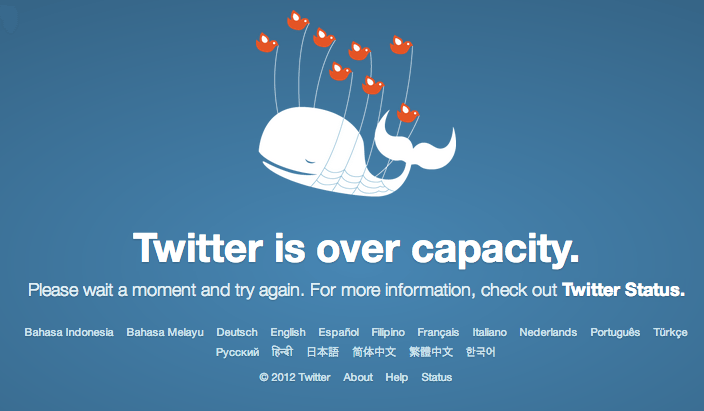 The famed Twitter “fail whale” has made a return to the service’s homepage to reflect that it is over capacity. 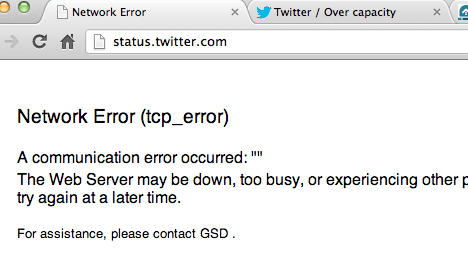 Even Status.twitter.com shows Network Error.